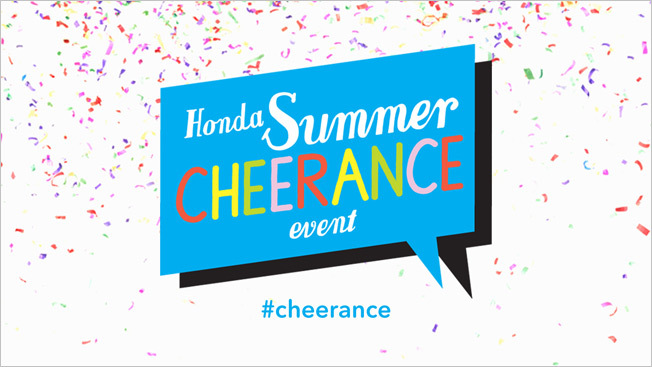 It's a special week in Honda land, as ad agency RPA is enacting a sweeping plan to spread good cheer—online and off—as part of a five-day "Summer Cheerance" event. 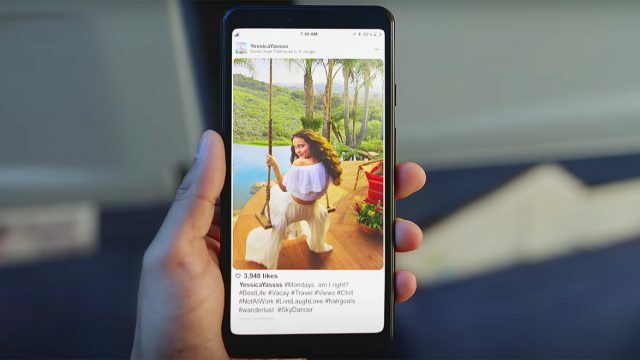 A key part of the campaign involves interacting with people on Twitter—replying to seemingly random posts with "funny, crazy or just plain weird cheer videos, memes and GIFs," the automaker says. There will be real-world events, too, in select cities across the country. The brand will leave piñatas filled with goodies at random locations; use a "Cheer Detector" at a beach to find buried treasure chests and share them with onlookers; and place "Stand Here for Cheer" boxes in public places, encouraging people to climb up and receive a surprise act of cheer (like being serenaded by a saxophonist). A Summer Cheerance station will feature happy tunes on Pandora. The campaign also includes six TV spots (featuring dramatizations of actual social media posts from people who are unhappy with their current cars); banner ads on auto sites like Cars.com, KBB.com and Edmunds.com and on Facebook, Twitter and YouTube; print ads in People, Sports Illustrated and top-market local newspapers; and network radio spots. The goal is to spread cheer to 3 million people. (A ticker is keeping track of the tally at shophonda.com.) Upon reaching that goal, Honda will donate $100,000 to the Pediatric Brain Tumor Foundation. "We are committed to spreading unprecedented cheer and connecting with as many people as we possibly can in five days," said Susie Rossick, senior manager at American Honda Motor Co. "This collection of silly and wonderful morsels of cheer across social media, and in real life, are designed to make an impact, create smile-filled buzz and remind people that summer is the best time to get a great deal on a Honda."